About Nephrology: Nephrology is a branch of medicine that deals with the diagnosis and treatment of kidney diseases, including hypertension and electrolyte imbalance and also deals with the treatment of patients who require Renal Replacement Therapy in the form of Dialysis & Renal Transplant. Kidneys are bean-shaped organs around 10-12 cm in length, 2 in number situated on either side of the backbone. Each kidney comprises of approximately 1 million nephrons, the functioning units- the filtration units. The kidneys function to purify the blood and to remove toxins from blood. If you have diabetes, high blood pressure or family history of kidney diseases, you may be at risk of developing kidney disease. Periodic screening in the form of simple blood and urine test is helpful in detecting early kidney disease and preventing deterioration of kidney function. Nephrology Department at CIMS Hospital has seven dialysis machines. The department functions round the clock. 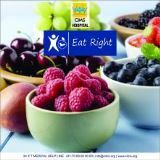 Being an international level hospital, complicated cases are referred to this department from various other centers. Facility for CRRT (continuous renal replacement therapy)for critically ill patients requiring dialysis is also available. Haemodialysis is a method, wherein blood is purified through a machine known as “hemodialyser”. Blood flows through a dialyser and is returned to the body after purification. Haemodialysis requires AV-Fistula or dialysis catheter. Dialysis catheter could be of short term or long term duration. Haemodialysis should be performed twice or thrice a week as per advice by nephrologist for patients whose kidneys are permanently impaired. Haemodialysis is also required and performed in patients having severe, but temporary reduction in kidney function. Reducing incidence of Hepatitis B and C, rigorous precautions are taken and such patients are dialysed on separate machines. When kidney function drops below minimum requirement to sustain body and maintain normal parameters, the solution is to replace the kidney function with either another artificial technology or transplant of healthy kidney. Purification of blood via artificial means is called “Dialysis”. 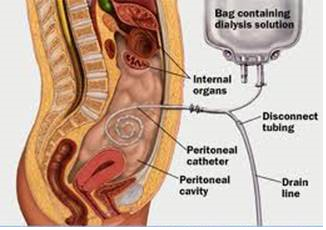 A peritoneal dialysis solution is infused through tube 3-4 times a day as per advised by the nephrologist. The solution remains in abdomen for about 6 hours, removes toxin from blood and after 6 hours, dialysis solution with toxin inside is drained out of abdomen. Infusion and drainage of peritoneal fluid should be done for 3-4 times a day. CIMS Hospital has 7 dialysis machines and 1 CRRT machine and has performed 3322 haemodialysis procedures including 1895 (OPD) and 1427 (IPD) in the last year (2017). Renal Transplant (RT) is the best possible option for patient suffering from end-stage Renal-Disease. Legally, near relative that include (father-mother, grandfather-grandmother, brother-sister, son-daughter, grandson-granddaughter and husband-wife) can donate kidneys to one another. For patients who don’t have well-matched relative for donation, they can opt for deceased/ cadaveric renal transplantation. In deceased donor/cadaveric renal transplantation, kidneys are harvested from brain-dead donors and implanted in recipients. The 3rd option for Renal Transplant is swap Renal Transplant for unrelated patients. Patients need to continue necessary medications for rest of his or her life to ensure proper kidney graft function. They require lifetime follow-up with the nephrologist. Highly experienced and qualified team of doctors. 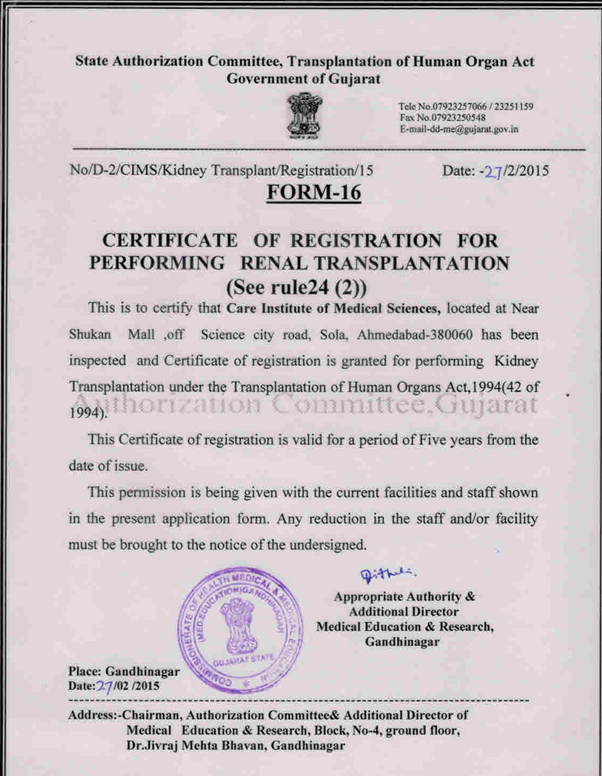 Renal Transplant Program Coordinator for counselling sessions for patient and relatives. Renal Transplant Committee constituted by subject matter experts and key opinion leaders for transparent, non-objectionable ethical review. 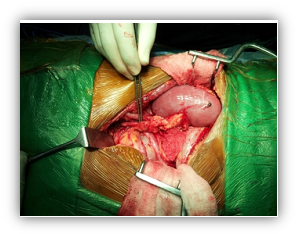 CIMS has an active cadaveric renal transplant program & we enroll & maintain a cadaveric waiting list.